Maya, recently transformed herself from being a wild Cheetah to a Calmer German Shepherd Dog. I say this because prior to her board and train program not only could the family not walk her but this trainer had difficulty as well. On a regular leash, she pulled so hard and low to the ground it was difficult to hang onto her leash without doing a face plant into the ground. And, with her on a long line, she ran non-stop circles around you as if she was a wild Cheetah. She has more energy than what should be allowed for several dogs combined. But with patience and expert training, Maya made great improvement in the Michigan Dog Trainer board and train program. As part of her training, she visited many beautiful parks and forests she had never seen before due to her over -engerized behavior. Take a look at Maya’s improvement via the video below. 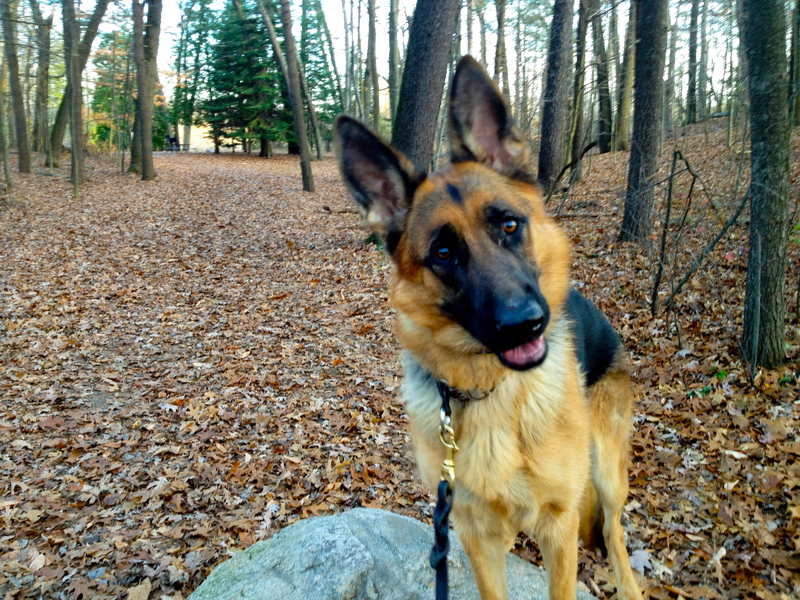 This entry was posted in Testimonials & Case Reviews and tagged Ann Arbor, board and train, Breeds, dog, dog obedience, dogtraining, German Shepherd dog, Michigan, Michigan Dog Trainer, Michigan Dog Training, Pets, Proud Lake Recreation Area. Bookmark the permalink.